Video: Dan Webster compares CFPB to the Gestapo. “So this is far more than the NSA. Far more than their metadata, which only collects phone numbers but not names, far more because they have no re-authorization, far more because there is no appropriation restrictions placed on it. This is more than just NSA-style, this is more Gestapo-style collection of data on individual citizens who have no clue that this is happening. The hearing concerned a bill that would, among other things, require the CFPB director “to consider a rule’s impact upon the financial safety or soundness of an insured depository institution.” In other words, the bill they were discussing has little to do with data collection, but was a great excuse for House GOP members to harp on Elizabeth Warren’s brainchild. 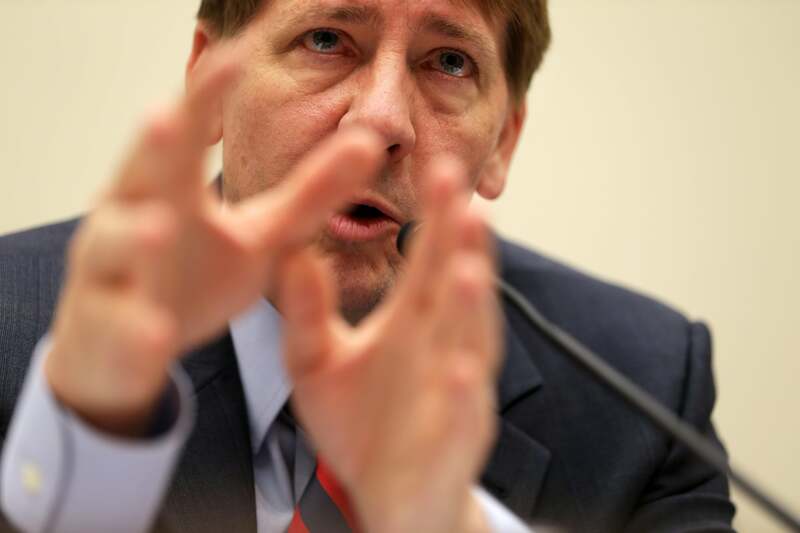 The CFPB could be the Republicans’ new whipping boy since the IRS peccadillo has died down. Webster has already proven himself as phobic of government data collection. In 2012 he worked to end the Census American Community Survey, which randomly surveys 3 million households every year, calling the ACS “intrusive” and “unconstitutional.” The ACS is used to determine how to distribute federal and state funds for things like hospitals and school lunches. But what of our freedoms?